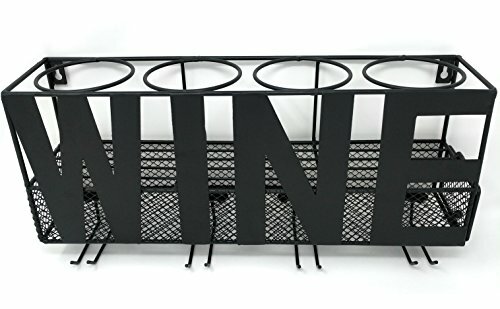 Gianna's Home presents our stylish wall mounted metal wine rack and cork holder. Rack is easily mounted (hardware not included) and can be used to display up to four bottles and four glasses. You can display used corks in the center of the rack for added charm! Easy assembly required for glass hangers. Available in either "Home" or "Wine" design. Includes compartment to store used corks as a decorative keepsake! If you have any questions about this product by Gianna's Home, contact us by completing and submitting the form below. If you are looking for a specif part number, please include it with your message.